For other uses, see Baltic (disambiguation). The Baltic Sea is a marginal sea of the Atlantic Ocean, enclosed by Denmark, Estonia, Finland, Latvia, Lithuania, Sweden, northeast Germany, Poland, Russia and the North and Central European Plain. The sea stretches from 53°N to 66°N latitude and from 10°E to 30°E longitude. A mediterranean sea of the Atlantic, with limited water exchange between the two bodies, the Baltic Sea drains through the Danish islands into the Kattegat by way of the straits of Øresund, the Great Belt, and the Little Belt. It includes the Gulf of Bothnia, the Bay of Bothnia, the Gulf of Finland, the Gulf of Riga, and the Bay of Gdańsk. The Baltic Proper is bordered on its northern edge, at the latitude 60°N, by the Åland islands and the Gulf of Bothnia, on its northeastern edge by the Gulf of Finland, on its eastern edge by the Gulf of Riga, and in the west by the Swedish part of the southern Scandinavian Peninsula. 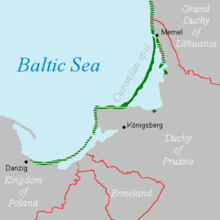 The Baltic Sea is connected by artificial waterways to the White Sea via the White Sea Canal and to the German Bight of the North Sea via the Kiel Canal. 5.1 The "Baltic Sea anomaly"
The Helsinki Convention on the Protection of the Marine Environment of the Baltic Sea Area includes the Baltic Sea and the Kattegat, without calling Kattegat a part of the Baltic Sea, "For the purposes of this Convention the 'Baltic Sea Area' shall be the Baltic Sea and the Entrance to the Baltic Sea, bounded by the parallel of the Skaw in the Skagerrak at 57°44.43'N." Historically, the Kingdom of Denmark collected Sound Dues from ships at the border between the ocean and the land-locked Baltic Sea, in tandem: in the Øresund at Kronborg castle near Helsingør; in the Great Belt at Nyborg; and in the Little Belt at its narrowest part then Fredericia, after that stronghold was built. The narrowest part of Little Belt is the "Middelfart Sund" near Middelfart. Geographers widely agree that the preferred physical border of the Baltic is a line drawn through the southern Danish islands, Drogden-Sill and Langeland. The Drogden Sill is situated north of Køge Bugt and connects Dragør in the south of Copenhagen to Malmö; it is used by the Øresund Bridge, including the Drogden Tunnel. By this definition, the Danish Straits are part of the entrance, but the Bay of Mecklenburg and the Bay of Kiel are parts of the Baltic Sea. Another usual border is the line between Falsterbo, Sweden and Stevns Klint, Denmark, as this is the southern border of Øresund. It's also the border between the shallow southern Øresund (with a typical depth of 5–10 meters only) and notably deeper water. Drogden Sill (depth of 7 m (23 ft)) sets a limit to Øresund and Darss Sill (depth of 18 m (59 ft)), and a limit to the Belt Sea. The shallow sills are obstacles to the flow of heavy salt water from the Kattegat into the basins around Bornholm and Gotland. 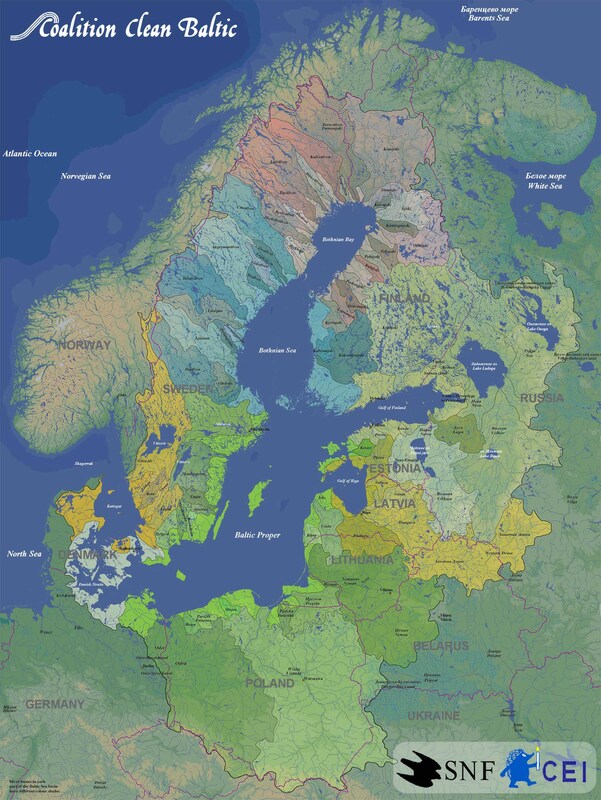 The Kattegat and the southwestern Baltic Sea are well oxygenated and have a rich biology. The remainder of the Sea is brackish, poor in oxygen and in species. Thus, statistically, the more of the entrance that is included in its definition, the healthier the Baltic appears; conversely, the more narrowly it is defined, the more endangered its biology appears. 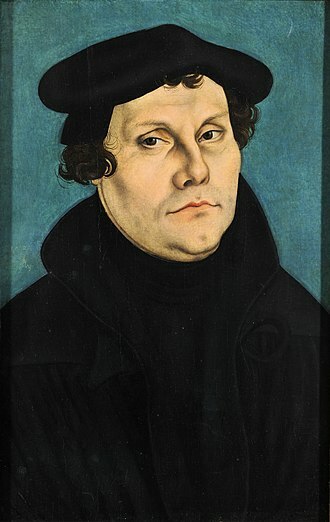 Tacitus called it Mare Suebicum after the Germanic people of the Suebi, and Ptolemy Sarmatian Ocean after the Sarmatians, but the first to name it the Baltic Sea (Mare Balticum) was the eleventh-century German chronicler Adam of Bremen. The origin of the latter name is speculative and it was adopted into Slavic and Finnic languages spoken around the sea, very likely due to the role of Medieval Latin in cartography. 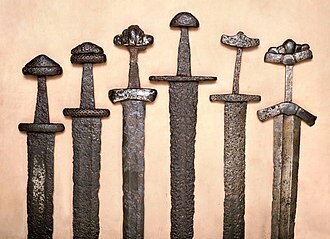 It might be connected to the Germanic word belt, a name used for two of the Danish straits, the Belts, while others claim it to be directly derived from the source of the Germanic word, Latin balteus "belt". Adam of Bremen himself compared the sea with a belt, stating that it is so named because it stretches through the land as a belt (Balticus, eo quod in modum baltei longo tractu per Scithicas regiones tendatur usque in Greciam). He might also have been influenced by the name of a legendary island mentioned in the Natural History of Pliny the Elder. Pliny mentions an island named Baltia (or Balcia) with reference to accounts of Pytheas and Xenophon. It is possible that Pliny refers to an island named Basilia ("the royal") in On the Ocean by Pytheas. Baltia also might be derived from belt and mean "near belt of sea, strait." Meanwhile, others have suggested that the name of the island originates from the Proto-Indo-European root *bhel meaning "white, fair". This root and its basic meaning were retained in both Lithuanian (as baltas) and Latvian (as balts). On this basis, a related hypothesis holds that the name originated from this Indo-European root via a Baltic language such as Lithuanian. Another explanation is that, while derived from the aforementioned root, the name of the sea is related to names for various forms of water and related substances in several European languages, that might have been originally associated with colors found in swamps (compare Proto-Slavic *bolto "swamp"). Yet another explanation is that the name originally meant "enclosed sea, bay" as opposed to open sea. Some Swedish historians believe the name derives from the god Baldr of Nordic mythology. In the Middle Ages the sea was known by a variety of names. 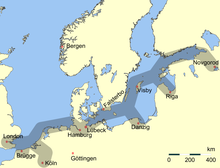 The name Baltic Sea became dominant only after 1600. 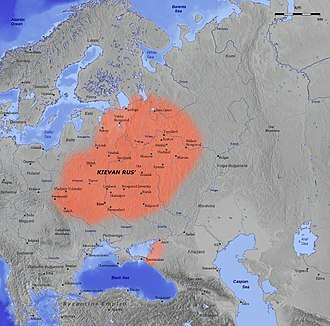 Usage of Baltic and similar terms to denote the region east of the sea started only in 19th century. "Baltic Sea" is used in Modern English; in the Baltic languages Latvian (Baltijas jūra; in Old Latvian it was referred to as "the Big Sea", while the present day Gulf of Riga was referred to as "the Little Sea") and Lithuanian (Baltijos jūra); in Latin (Mare Balticum) and the Romance languages French (Mer Baltique), Italian (Mar Baltico), Portuguese (Mar Báltico), Romanian (Marea Baltică) and Spanish (Mar Báltico); in Greek (Βαλτική Θάλασσα Valtikí Thálassa); in Albanian (Deti Balltik); in Welsh (Môr Baltig); in the Slavic languages Polish (Morze Bałtyckie or Bałtyk), Czech (Baltské moře or Balt), Slovenian (Baltsko morje), Bulgarian (Балтийско море Baltijsko More), Kashubian (Bôłt), Macedonian (Балтичко Море Baltičko More), Ukrainian (Балтійське море Baltijs′ke More), Belarusian (Балтыйскае мора Baltyjskaje Mora), Russian (Балтийское море Baltiyskoye More) and Serbo-Croatian (Baltičko more / Балтичко море); in Hungarian (Balti-tenger). In Germanic languages, except English, "East Sea" is used, as in Afrikaans (Oossee), Danish (Østersøen), Dutch (Oostzee), German (Ostsee), Icelandic and Faroese (Eystrasalt), Norwegian (Bokmål: Østersjøen; Nynorsk: Austersjøen), and Swedish (Östersjön). In Old English it was known as Ostsǣ; also in Hungarian the former name was Keleti-tenger ("East-sea", due to German influence). In addition, Finnish, a Finnic language, has calqued the Swedish term as Itämeri "East Sea", disregarding the geography (the sea is west of Finland), though understandably since Finland was a part of Sweden from the Middle Ages until 1809. In another Finnic language, Estonian, it is called the "West Sea" (Läänemeri), with the correct geography (the sea is west of Estonia). In South Estonian, it has the meaning of both "West Sea" and "Evening Sea" (Õdagumeri). At the time of the Roman Empire, the Baltic Sea was known as the Mare Suebicum or Mare Sarmaticum. 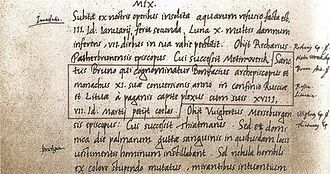 Tacitus in his AD 98 Agricola and Germania described the Mare Suebicum, named for the Suebi tribe, during the spring months, as a brackish sea where the ice broke apart and chunks floated about. The Suebi eventually migrated southwest to reside for a while in the Rhineland area of modern Germany, where their name survives in the historic region known as Swabia. Jordanes called it the Germanic Sea in his work, the Getica. Cape Arkona on the island of Rügen in Germany, was a sacred site of the Slavs before Christianization. In the early Middle Ages, Norse (Scandinavian) merchants built a trade empire all around the Baltic. Later, the Norse fought for control of the Baltic against Wendish tribes dwelling on the southern shore. The Norse also used the rivers of Russia for trade routes, finding their way eventually to the Black Sea and southern Russia. 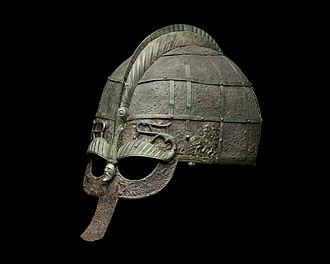 This Norse-dominated period is referred to as the Viking Age. In addition to fish the sea also provides amber, especially from its southern shores within today's borders of Poland, Russia and Lithuania. First mentions of amber deposits on the South coast of the Baltic Sea date back to the 12th century. The bordering countries have also traditionally exported lumber, wood tar, flax, hemp and furs by ship across the Baltic. Sweden had from early medieval times exported iron and silver mined there, while Poland had and still has extensive salt mines. Thus the Baltic Sea has long been crossed by much merchant shipping. 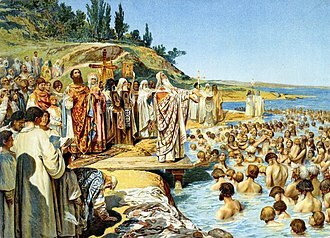 The lands on the Baltic's eastern shore were among the last in Europe to be converted to Christianity. This finally happened during the Northern Crusades: Finland in the twelfth century by Swedes, and what are now Estonia and Latvia in the early thirteenth century by Danes and Germans (Livonian Brothers of the Sword). The Teutonic Order gained control over parts of the southern and eastern shore of the Baltic Sea, where they set up their monastic state. 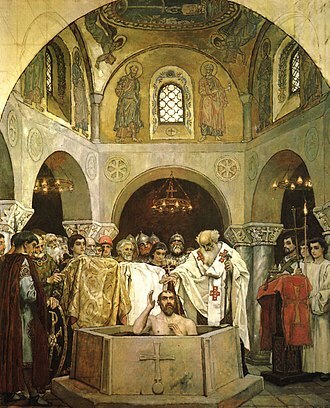 Lithuania was the last European state to convert to Christianity. Main trading routes of the Hanseatic League (Hanse). In 1649 the settlement of the Latvian-speaking Kursenieki spanned from Klaipėda to Gdańsk along the coast of the Baltic Sea. In the period between the 8th and 14th centuries, there was much piracy in the Baltic from the coasts of Pomerania and Prussia, and the Victual Brothers even held Gotland. Starting in the 11th century, the southern and eastern shores of the Baltic were settled by migrants mainly from Germany, a movement called the Ostsiedlung ("east settling"). Other settlers were from the Netherlands, Denmark, and Scotland. The Polabian Slavs were gradually assimilated by the Germans. Denmark gradually gained control over most of the Baltic coast, until she lost much of her possessions after being defeated in the 1227 Battle of Bornhöved. The naval Battle of the Sound took place on 8 November 1658 during the Dano-Swedish War. In the 13th to 16th centuries, the strongest economic force in Northern Europe was the Hanseatic League, a federation of merchant cities around the Baltic Sea and the North Sea. 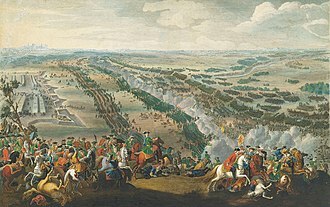 In the sixteenth and early seventeenth centuries, Poland, Denmark, and Sweden fought wars for Dominium maris baltici ("Lordship over the Baltic Sea"). Eventually, it was Sweden that virtually encompassed the Baltic Sea. In Sweden the sea was then referred to as Mare Nostrum Balticum ("Our Baltic Sea"). The goal of Swedish warfare during the 17th century was to make the Baltic Sea an all-Swedish sea (Ett Svenskt innanhav), something that was accomplished except the part between Riga in Latvia and Stettin in Pomerania. However, the Dutch dominated Baltic trade in the seventeenth century. In the eighteenth century, Russia and Prussia became the leading powers over the sea. 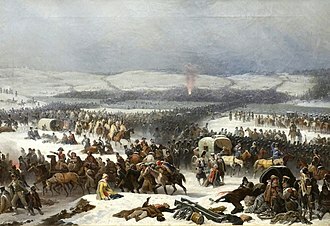 Sweden's defeat in the Great Northern War brought Russia to the eastern coast. Russia became and remained a dominating power in the Baltic. Russia's Peter the Great saw the strategic importance of the Baltic and decided to found his new capital, Saint Petersburg, at the mouth of the Neva river at the east end of the Gulf of Finland. There was much trading not just within the Baltic region but also with the North Sea region, especially eastern England and the Netherlands: their fleets needed the Baltic timber, tar, flax and hemp. During the Crimean War, a joint British and French fleet attacked the Russian fortresses in the Baltic. They bombarded Sveaborg, which guards Helsinki; and Kronstadt, which guards Saint Petersburg; and they destroyed Bomarsund in the Åland Islands. After the unification of Germany in 1871, the whole southern coast became German. World War I was partly fought in the Baltic Sea. After 1920 Poland was connected to the Baltic Sea by the Polish Corridor and enlarged the port of Gdynia in rivalry with the port of the Free City of Danzig. 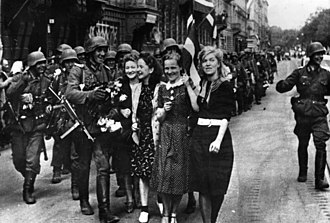 During World War II, Germany reclaimed all of the southern and much of the eastern shore by occupying Poland and the Baltic states. In 1945, the Baltic Sea became a mass grave for retreating soldiers and refugees on torpedoed troop transports. The sinking of the Wilhelm Gustloff remains the worst maritime disaster in history, killing (very roughly) 9,000 people. In 2005, a Russian group of scientists found over five thousand airplane wrecks, sunken warships, and other material, mainly from World War II, on the bottom of the sea. Since the end of World War II, various nations, including the Soviet Union, the United Kingdom and the United States, have disposed of chemical weapons in the Baltic Sea, raising concerns of environmental contamination. Even now fishermen accidentally retrieve some of these materials: the most recent available report from the Helsinki Commission notes that four small scale catches of chemical munitions representing approximately 105 kg (231 lb) of material were reported in 2005. This is a reduction from the 25 incidents representing 1,110 kg (2,450 lb) of material in 2003. Until now, the U.S. Government refuses to disclose the exact coordinates of the wreck sites. Rotting bottles leak mustard gas and other substances, thus slowly poisoning a substantial part of the Baltic Sea. After 1945, the German population was expelled from all areas east of the Oder-Neisse line, making room for displaced Poles and Russians. Poland gained most of the southern shore. The Soviet Union gained another access to the Baltic with the Kaliningrad Oblast. The Baltic states on the eastern shore were annexed by the Soviet Union. The Baltic then separated opposing military blocs: NATO and the Warsaw Pact. Had war broken out, the Polish navy was prepared to invade the Danish isles. This border status restricted trade and travel. It ended only after the collapse of the Communist regimes in Central and Eastern Europe in the late 1980s. Since May 2004, with the accession of the Baltic states and Poland, the Baltic Sea has been almost entirely surrounded by countries of the European Union (EU). The only remaining non-EU shore areas are Russian: the Saint Petersburg area and the exclave of the Kaliningrad Oblast. Winter storms begin arriving in the region during October. These have caused numerous shipwrecks, and contributed to the extreme difficulties of rescuing passengers of the ferry M/S Estonia en route from Tallinn, Estonia, to Stockholm, Sweden, in September 1994, which claimed the lives of 852 people. 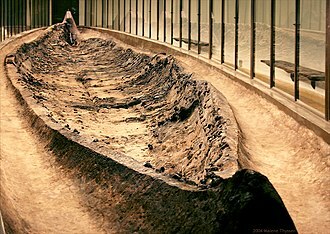 Older, wood-based shipwrecks such as the Vasa tend to remain well-preserved, as the Baltic's cold and brackish water does not suit the shipworm. Storm surge floodings are generally taken to occur when the water level is more than one metre above normal. In Warnemünde about 110 floods occurred from 1950 to 2000, an average of just over two per year. Historic flood events were the All Saints' Flood of 1304 and other floods in the years 1320, 1449, 1625, 1694, 1784 and 1825. Little is known of their extent. From 1872, there exist regular and reliable records of water levels in the Baltic Sea. The highest was the flood of 1872 when the water was an average of 2.43 m (8 ft 0 in) above sea level at Warnemünde and a maximum of 2.83 m (9 ft 3 in) above sea level in Warnemünde. In the last very heavy floods the average water levels reached 1.88 m (6 ft 2 in) above sea level in 1904, 1.89 m (6 ft 2 in) in 1913, 1.73 m (5 ft 8 in) in January 1954, 1.68 m (5 ft 6 in) on 2–4 November 1995 and 1.65 m (5 ft 5 in) on 21 February 2002. An arm of the North Atlantic Ocean, the Baltic Sea is enclosed by Sweden and Denmark to the west, Finland to the northeast, the Baltic countries to the southeast, and the North European Plain to the southwest. It is about 1,600 km (990 mi) long, an average of 193 km (120 mi) wide, and an average of 55 metres (180 ft) deep. The maximum depth is 459 m (1,506 ft) which is on the Swedish side of the center. 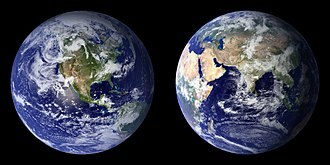 The surface area is about 349,644 km2 (134,998 sq mi)  and the volume is about 20,000 km3 (4,800 cu mi). The periphery amounts to about 8,000 km (5,000 mi) of coastline. The Baltic Sea is one of the largest brackish inland seas by area, and occupies a basin (a zungenbecken) formed by glacial erosion during the last few ice ages. In the Little Belt. A line joining Falshöft (54°47′N 9°57.5′E﻿ / ﻿54.783°N 9.9583°E﻿ / 54.783; 9.9583) and Vejsnæs Nakke (Ærø: 54°49′N 10°26′E﻿ / ﻿54.817°N 10.433°E﻿ / 54.817; 10.433). In the Great Belt. A line joining Gulstav (South extreme of Langeland Island) and Kappel Kirke (54°46′N 11°01′E﻿ / ﻿54.767°N 11.017°E﻿ / 54.767; 11.017) on Island of Lolland. In the Guldborg Sound. A line joining Flinthorne-Rev and Skjelby (54°38′N 11°53′E﻿ / ﻿54.633°N 11.883°E﻿ / 54.633; 11.883). In the Sound. A line joining Stevns Lighthouse (55°17′N 12°27′E﻿ / ﻿55.283°N 12.450°E﻿ / 55.283; 12.450) and Falsterbo Point (55°23′N 12°49′E﻿ / ﻿55.383°N 12.817°E﻿ / 55.383; 12.817). The northern part of the Baltic Sea is known as the Gulf of Bothnia, of which the northernmost part is the Bay of Bothnia or Bothnian Bay. The more rounded southern basin of the gulf is called Bothnian Sea and immediately to the south of it lies the Sea of Åland. The Gulf of Finland connects the Baltic Sea with Saint Petersburg. The Gulf of Riga lies between the Latvian capital city of Riga and the Estonian island of Saaremaa. The Northern Baltic Sea lies between the Stockholm area, southwestern Finland and Estonia. The Western and Eastern Gotland Basins form the major parts of the Central Baltic Sea or Baltic proper. The Bornholm Basin is the area east of Bornholm, and the shallower Arkona Basin extends from Bornholm to the Danish isles of Falster and Zealand. In the south, the Bay of Gdańsk lies east of the Hel Peninsula on the Polish coast and west of the Sambia Peninsula in Kaliningrad Oblast. 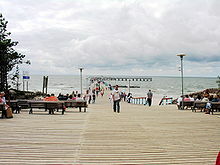 The Bay of Pomerania lies north of the islands of Usedom and Wolin, east of Rügen. Between Falster and the German coast lie the Bay of Mecklenburg and Bay of Lübeck. 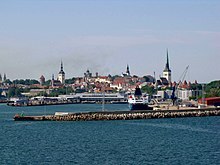 The westernmost part of the Baltic Sea is the Bay of Kiel. The three Danish straits, the Great Belt, the Little Belt and The Sound (Öresund/Øresund), connect the Baltic Sea with the Kattegat and Skagerrak strait in the North Sea. 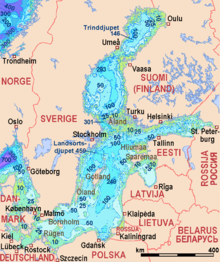 The water temperature of the Baltic Sea varies significantly depending on exact location, season and depth. At the Bornholm Basin, which is located directly east of the island of the same name, the surface temperature typically falls to 0–5 °C (32–41 °F) during the peak of the winter and rises to 15–20 °C (59–68 °F) during the peak of the summer, with an annual average of around 9–10 °C (48–50 °F). A similar pattern can be seen in the Gotland Basin, which is located between the island of Gotland and Latvia. In the deep of these basins the temperature variations are smaller. At the bottom of the Bornholm Basin, deeper than 80 m (260 ft), the temperature typically is 1–10 °C (34–50 °F), and at the bottom of the Gotland Basin, at depths greater than 225 m (738 ft), the temperature typically is 4–7 °C (39–45 °F). On the long-term average, the Baltic Sea is ice-covered at the annual maximum for about 45% of its surface area. The ice-covered area during such a typical winter includes the Gulf of Bothnia, the Gulf of Finland, the Gulf of Riga, the archipelago west of Estonia, the Stockholm archipelago, and the Archipelago Sea southwest of Finland. The remainder of the Baltic does not freeze during a normal winter, except sheltered bays and shallow lagoons such as the Curonian Lagoon. The ice reaches its maximum extent in February or March; typical ice thickness in the northernmost areas in the Bothnian Bay, the northern basin of the Gulf of Bothnia, is about 70 cm (28 in) for landfast sea ice. The thickness decreases farther south. Freezing begins in the northern extremities of the Gulf of Bothnia typically in the middle of November, reaching the open waters of the Bothnian Bay in early January. The Bothnian Sea, the basin south of Kvarken, freezes on average in late February. The Gulf of Finland and the Gulf of Riga freeze typically in late January. 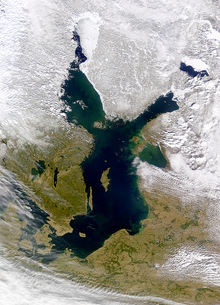 In 2011, the Gulf of Finland was completely frozen on 15 February. The ice extent depends on whether the winter is mild, moderate, or severe. In severe winters ice can form around southern Sweden and even in the Danish straits. According to the 18th-century natural historian William Derham, during the severe winters of 1703 and 1708, the ice cover reached as far as the Danish straits. Frequently, parts of the Gulf of Bothnia and Gulf of Finland are frozen, in addition to coastal fringes in more southerly locations such as the Gulf of Riga. This description meant that the whole of the Baltic Sea was covered with ice. Since 1720, the Baltic Sea has frozen over entirely 20 times, most recently in early 1987, which was the most severe winter in Scandinavia since 1720. The ice then covered 400,000 km2 (150,000 sq mi). During the winter of 2010–11, which was quite severe compared to those of the last decades, the maximum ice cover was 315,000 km2 (122,000 sq mi), which was reached on 25 February 2011. The ice then extended from the north down to the northern tip of Gotland, with small ice-free areas on either side, and the east coast of the Baltic Sea was covered by an ice sheet about 25 to 100 km (16 to 62 mi) wide all the way to Gdańsk. This was brought about by a stagnant high-pressure area that lingered over central and northern Scandinavia from around 10 to 24 February. After this, strong southern winds pushed the ice further into the north, and much of the waters north of Gotland were again free of ice, which had then packed against the shores of southern Finland. The effects of the afore-mentioned high-pressure area did not reach the southern parts of the Baltic Sea, and thus the entire sea did not freeze over. However, floating ice was additionally observed near Świnoujście harbour in January 2010. In recent years before 2011, the Bothnian Bay and the Bothnian Sea were frozen with solid ice near the Baltic coast and dense floating ice far from it. In 2008, almost no ice formed except for a short period in March. During winter, fast ice, which is attached to the shoreline, develops first, rendering ports unusable without the services of icebreakers. Level ice, ice sludge, pancake ice, and rafter ice form in the more open regions. The gleaming expanse of ice is similar to the Arctic, with wind-driven pack ice and ridges up to 15 m (49 ft). Offshore of the landfast ice, the ice remains very dynamic all year, and it is relatively easily moved around by winds and therefore forms pack ice, made up of large piles and ridges pushed against the landfast ice and shores. In spring, the Gulf of Finland and the Gulf of Bothnia normally thaw in late April, with some ice ridges persisting until May in the eastern extremities of the Gulf of Finland. In the northernmost reaches of the Bothnian Bay, ice usually stays until late May; by early June it is practically always gone. However, in the famine year of 1867 remnants of ice were observed as late as July 17 near Uddskär. Even as far south as Øresund, remnants of ice have been observed in May on several occasions; near Taarbaek on May 15, 1942 and near Copenhagen on May 11, 1771. Drift ice was also observed on May 11, 1799. The ice cover is the main habitat for two large mammals, the grey seal (Halichoerus grypus) and the Baltic ringed seal (Pusa hispida botnica), both of which feed underneath the ice and breed on its surface. Of these two seals, only the Baltic ringed seal suffers when there is not adequate ice in the Baltic Sea, as it feeds its young only while on ice. The grey seal is adapted to reproducing also with no ice in the sea. The sea ice also harbours several species of algae that live in the bottom and inside unfrozen brine pockets in the ice. The Baltic Sea flows out through the Danish straits; however, the flow is complex. A surface layer of brackish water discharges 940 km3 (230 cu mi) per year into the North Sea. Due to the difference in salinity, by salinity permeation principle, a sub-surface layer of more saline water moving in the opposite direction brings in 475 km3 (114 cu mi) per year. It mixes very slowly with the upper waters, resulting in a salinity gradient from top to bottom, with most of the salt water remaining below 40 to 70 m (130 to 230 ft) deep. The general circulation is anti-clockwise: northwards along its eastern boundary, and south along the western one . The difference between the outflow and the inflow comes entirely from fresh water. More than 250 streams drain a basin of about 1,600,000 km2 (620,000 sq mi), contributing a volume of 660 km3 (160 cu mi) per year to the Baltic. They include the major rivers of north Europe, such as the Oder, the Vistula, the Neman, the Daugava and the Neva. Additional fresh water comes from the difference of precipitation less evaporation, which is positive. An important source of salty water are infrequent inflows of North Sea water into the Baltic. Such inflows, are important to the Baltic ecosystem because of the oxygen they transport into the Baltic deeps, used to happen regularly until the 1980s. In recent decades they have become less frequent. The latest four occurred in 1983, 1993, 2003 and 2014 suggesting a new inter-inflow period of about ten years. The water level is generally far more dependent on the regional wind situation than on tidal effects. However, tidal currents occur in narrow passages in the western parts of the Baltic Sea. The significant wave height is generally much lower than that of the North Sea. Quite violent, sudden storms sweep the surface ten or more times a year, due to large transient temperature differences and a long reach of wind. Seasonal winds also cause small changes in sea level, of the order of 0.5 m (1 ft 8 in) . Baltic Sea near Klaipėda (Karklė). 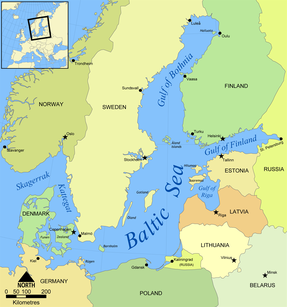 The Baltic Sea is the world's largest inland brackish sea. Only two other brackish waters are larger on some measurements: The Black Sea is larger in both surface area and water volume, but most of it is located outside the continental shelf (only a small percentage is inland). The Caspian Sea is larger in water volume, but—despite its name—it is a lake rather than a sea. The Baltic Sea's salinity is much lower than that of ocean water (which averages 3.5%), as a result of abundant freshwater runoff from the surrounding land (rivers, streams and alike), combined with the shallowness of the sea itself; runoff contributes roughly one-fortieth its total volume per year, as the volume of the basin is about 21,000 km3 (5,000 cu mi) and yearly runoff is about 500 km3 (120 cu mi). As salt water is denser than fresh water, the bottom of the Baltic Sea is saltier than the surface. This creates a vertical stratification of the water column, a halocline, that represents a barrier to the exchange of oxygen and nutrients, and fosters completely separate maritime environments. The difference between the bottom and surface salinities vary depending on location. Overall it follows the same southwest to east and north pattern as the surface. At the bottom of the Arkona Basin (equalling depths greater than 40 m or 130 ft) and Bornholm Basin (depths greater than 80 m or 260 ft) it is typically 1.4–1.8%. Further east and north the salinity at the bottom is consistently lower, being the lowest in Bothnian Bay (depths greater than 120 m or 390 ft) where it is slightly below 0.4%, or only marginally higher than the surface in the same region. In contrast, the salinity of the Danish straits, which connect the Baltic Sea and Kattegat, tends to be significantly higher, but with major variations from year to year. For example, the surface and bottom salinity in the Great Belt is typically around 2.0% and 2.8% respectively, which is only somewhat below that of the Kattegat. The water surplus caused by the continuous inflow of rivers and streams to the Baltic Sea means that there generally is a flow of brackish water out though the Danish straits to the Kattegat (and eventually the Atlantic). Significant flows in the opposite direction, salt water from the Kattegat through the Danish straits to the Baltic Sea, are less regular. From 1880 to 1980 inflows occurred on average six to seven times per decade. Since 1980 it has been much less frequent, although a very large inflow occurred in 2014. Skerries form an integral and typical part of many of the archipelagos of the Baltic Sea, such as these in the archipelago of the Åland Islands, Finland. Vast coastal dunes are characteristic for large parts of the southern shore of the Baltic Sea. Kuršių Nerija National Park in Lithuania (pictured) is a part of the Curonian Spit World Heritage Site. Denmark, Estonia, Finland, Germany, Latvia, Lithuania, Poland, Russia, Sweden. Belarus, Czech Republic, Norway, Slovakia, Ukraine. 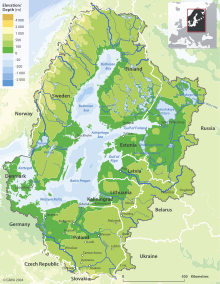 The Baltic sea drainage basin is roughly four times the surface area of the sea itself. About 48% of the region is forested, with Sweden and Finland containing the majority of the forest, especially around the Gulfs of Bothnia and Finland. About 20% of the land is used for agriculture and pasture, mainly in Poland and around the edge of the Baltic Proper, in Germany, Denmark and Sweden. About 17% of the basin is unused open land with another 8% of wetlands. Most of the latter are in the Gulfs of Bothnia and Finland. The rest of the land is heavily populated. About 85 million people live in the Baltic drainage basin, 15 million within 10 km (6 mi) of the coast and 29 million within 50 km (31 mi) of the coast. Around 22 million live in population centers of over 250,000. 90% of these are concentrated in the 10 km (6 mi) band around the coast. Of the nations containing all or part of the basin, Poland includes 45% of the 85 million, Russia 12%, Sweden 10% and the others less than 6% each. Ancylus Lake around 8700 years BP. The relic of Scandinavian Glacier in white. The rivers Svea älv (Svea river) and Göta älv formed an outlet to the Atlantic. 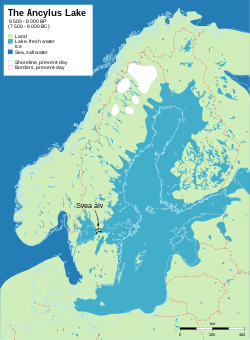 Much of modern Finland is former seabed or archipelago: illustrated are sea levels immediately after the last ice age. The Baltic Sea somewhat resembles a riverbed, with two tributaries, the Gulf of Finland and Gulf of Bothnia. Geological surveys show that before the Pleistocene, instead of the Baltic Sea, there was a wide plain around a great river that paleontologists call the Eridanos. Several Pleistocene glacial episodes scooped out the river bed into the sea basin. By the time of the last, or Eemian Stage (MIS 5e), the Eemian Sea was in place. Instead of a true sea, the Baltic can even today also be understood as the common estuary of all rivers flowing into it. From that time the waters underwent a geologic history summarized under the names listed below. Many of the stages are named after marine animals (e.g. the Littorina mollusk) that are clear markers of changing water temperatures and salinity. The factors that determined the sea's characteristics were the submergence or emergence of the region due to the weight of ice and subsequent isostatic readjustment, and the connecting channels it found to the North Sea-Atlantic, either through the straits of Denmark or at what are now the large lakes of Sweden, and the White Sea-Arctic Sea. The land is still emerging isostatically from its depressed state, which was caused by the weight of ice during the last glaciation. The phenomenon is known as post-glacial rebound. Consequently, the surface area and the depth of the sea are diminishing. The uplift is about eight millimetres per year on the Finnish coast of the northernmost Gulf of Bothnia. In the area, the former seabed is only gently sloping, leading to large areas of land being reclaimed in what are, geologically speaking, relatively short periods (decades and centuries). The "Baltic Sea anomaly" refers to interpretations of an indistinct sonar image taken by Swedish salvage divers on the floor of the northern Baltic Sea in June 2011. The treasure hunters suggested the image showed an object with unusual features of seemingly extraordinary origin. Speculation published in tabloid newspapers claimed that the object was a sunken UFO. A consensus of experts and scientists say that the image most likely shows a natural geological formation. The fauna of the Baltic Sea is a mixture of marine and freshwater species. Among marine fishes are Atlantic cod, Atlantic herring, European hake, European plaice, European flounder, shorthorn sculpin and turbot, and examples of freshwater species include European perch, northern pike, whitefish and common roach. Freshwater species may occur at outflows of rivers or streams in all coastal sections of the Baltic Sea. Otherwise marine species dominate in most sections of the Baltic, at least as far north as Gävle, where less than one-tenth are freshwater species. Further north the pattern is inverted. 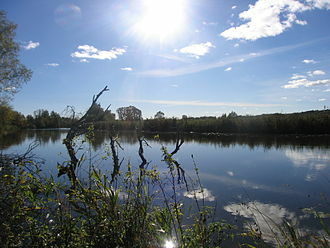 In the Bothnian Bay, roughly two-thirds of the species are freshwater. In the far north of this bay, saltwater species are almost entirely absent. For example, the common starfish and shore crab, two species that are very widespread along European coasts, are both unable to cope with the significantly lower salinity. Their range limit is west of Bornholm, meaning that they are absent from the vast majority of the Baltic Sea. Some marine species, like the Atlantic cod and European flounder, can survive at relatively low salinities, but need higher salinities to breed, which therefore occurs in deeper parts of the Baltic Sea. There is a decrease in species richness from the Danish belts to the Gulf of Bothnia. The decreasing salinity along this path causes restrictions in both physiology and habitats. At more than 600 species of invertebrates, fish, aquatic mammals, aquatic birds and macrophytes, the Arkona Basin (roughly between southeast Zealand and Bornholm) is far richer than other more eastern and northern basins in the Baltic Sea, which all have less than 400 species from these groups, with the exception of the Gulf of Finland with more than 750 species. However, even the most diverse sections of the Baltic Sea have far less species than the almost-full saltwater Kattegat, which is home to more than 1600 species from these groups. The lack of tides has affected the marine species as compared with the Atlantic. Since the Baltic Sea is so young there are only two or three known endemic species: the brown alga Fucus radicans and the flounder Platichthys solemdali. Both appear to have evolved in the Baltic basin and were only recognized as species in 2005 and 2018 respectively, having formerly been confused with more widespread relatives. The tiny Copenhagen cockle (Parvicardium hauniense), a rare mussel, is sometimes considered endemic, but has now been recorded in the Mediterranean. However, some consider non-Baltic records to be misidentifications of juvenile lagoon cockles (Cerastoderma glaucum). Several widespread marine species have distinctive subpopulations in the Baltic Sea adapted to the low salinity, such as the Baltic Sea forms of the Atlantic herring and lumpsucker, which are smaller than the widespread forms in the North Atlantic. A peculiar feature of the fauna is that it contains a number of glacial relict species, isolated populations of arctic species which have remained in the Baltic Sea since the last glaciation, such as the large isopod Saduria entomon, the Baltic subspecies of ringed seal, and the fourhorn sculpin. Some of these relicts are derived from glacial lakes, such as Monoporeia affinis, which is a main element in the benthic fauna of the low-salinity Bothnian Bay. Cetaceans in Baltic Sea have been monitored by the ASCOBANS. Critically endangered populations of Atlantic white-sided dolphins and harbor porpoises inhabit the sea where white-colored porpoises have been recorded, and occasionally oceanic and out-of-range species such as minke whales, bottlenose dolphins, beluga whales, orcas, and beaked whales visit the waters. In recent years, very small, but with increasing rates, fin whales and humpback whales migrate into Baltic sea including mother and calf pair. Now extinct Atlantic grey whales (remains found from Gräsö along Bothnian Sea/southern Bothnian Gulf and Ystad) and eastern population of North Atlantic right whales that is facing functional extinction once migrated into Baltic Sea. Other notable megafauna include the basking sharks. Satellite images taken in July 2010 revealed a massive algal bloom covering 377,000 square kilometres (146,000 sq mi) in the Baltic Sea. The area of the bloom extended from Germany and Poland to Finland. Researchers of the phenomenon have indicated that algal blooms have occurred every summer for decades. Fertilizer runoff from surrounding agricultural land has exacerbated the problem and led to increased eutrophication. Approximately 100,000 km2 (38,610 sq mi) of the Baltic's seafloor (a quarter of its total area) is a variable dead zone. The more saline (and therefore denser) water remains on the bottom, isolating it from surface waters and the atmosphere. This leads to decreased oxygen concentrations within the zone. It is mainly bacteria that grow in it, digesting organic material and releasing hydrogen sulfide. Because of this large anaerobic zone, the seafloor ecology differs from that of the neighbouring Atlantic. Plans to artificially oxygenate areas of the Baltic that have experienced eutrophication have been proposed by the University of Gothenburg and Inocean AB. The proposal intends to use wind-driven pumps to inject oxygen (air) into waters at, or around, 130m below sea level. Construction of the Great Belt Bridge in Denmark (completed 1997) and the Øresund Bridge-Tunnel (completed 1999), linking Denmark with Sweden, provided a highway and railroad connection between Sweden and the Danish mainland (the Jutland Peninsula, precisely the Zealand). The undersea tunnel of the Øresund Bridge-Tunnel provides for navigation of large ships into and out of the Baltic Sea. The Baltic Sea is the main trade route for export of Russian petroleum. Many of the countries neighboring the Baltic Sea have been concerned about this, since a major oil leak in a seagoing tanker would be disastrous for the Baltic—given the slow exchange of water. The tourism industry surrounding the Baltic Sea is naturally concerned about oil pollution. Much shipbuilding is carried out in the shipyards around the Baltic Sea. The largest shipyards are at Gdańsk, Gdynia, and Szczecin, Poland; Kiel, Germany; Karlskrona and Malmö, Sweden; Rauma, Turku, and Helsinki, Finland; Riga, Ventspils, and Liepāja, Latvia; Klaipėda, Lithuania; and Saint Petersburg, Russia. There are several cargo and passenger ferries that operate on the Baltic Sea, such as Scandlines, Silja Line, Polferries, the Viking Line, Tallink, and Superfast Ferries. For the first time ever, all the sources of pollution around an entire sea were made subject to a single convention, signed in 1974 by the then seven Baltic coastal states. The 1974 Convention entered into force on 3 May 1980. In the light of political changes and developments in international environmental and maritime law, a new convention was signed in 1992 by all the states bordering on the Baltic Sea, and the European Community. After ratification the Convention entered into force on 17 January 2000. The Convention covers the whole of the Baltic Sea area, including inland waters and the water of the sea itself, as well as the seabed. Measures are also taken in the whole catchment area of the Baltic Sea to reduce land-based pollution. The Convention on the Protection of the Marine Environment of the Baltic Sea Area, 1992, entered into force on 17 January 2000. The governing body of the Convention is the Helsinki Commission, also known as HELCOM, or Baltic Marine Environment Protection Commission. The present contracting parties are Denmark, Estonia, the European Community, Finland, Germany, Latvia, Lithuania, Poland, Russia and Sweden. The ratification instruments were deposited by the European Community, Germany, Latvia and Sweden in 1994, by Estonia and Finland in 1995, by Denmark in 1996, by Lithuania in 1997 and by Poland and Russia in November 1999. ^ A healthy serum concentration of sodium is around 0.8–0.85%, and healthy kidneys can concentrate salt in urine to at least 1.4%. ^ "Coalition Clean Baltic". Archived from the original on 2 June 2013. Retrieved 5 July 2013. ^ Gunderson, Lance H.; Pritchard, Lowell (1 October 2002). Resilience and the Behavior of Large-Scale Systems. Island Press. ISBN 9781559639712 – via Google Books. ^ "Text of Helsinki Convention". ^ "Fragen zum Meer (Antworten) - IOW". www.io-warnemuende.de. ^ Ptolemy, Geography III, chapter 5: "Sarmatia in Europe is bounded on the north by the Sarmatian ocean at the Venedic gulf" (online text). ^ (in Swedish) Balteus in Nordisk familjebok. ^ Forbes, Nevill (1910). The Position of the Slavonic Languages at the present day. Oxford University Press. p. 7. 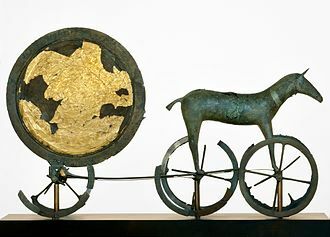 ^ Dini, Pietro Umberto (1997). Le lingue baltiche (in Italian). Florence: La Nuova Italia. ISBN 978-88-221-2803-4. ^ Cfr. Hartmann Schedel's 1493 (map), where the Baltic Sea is called Mare Germanicum, whereas the Northern Sea is called Oceanus Germanicus. ^ Wend – West Wend. Britannica.com. Retrieved on 23 June 2011. ^ Chemical Weapon Time Bomb Ticks in the Baltic Sea Deutsche Welle, 1 February 2008. ^ Activities 2006: Overview Archived 14 January 2009 at the Wayback Machine Baltic Sea Environment Proceedings No. 112. Helsinki Commission. ^ "Sturmfluten an der Ostseeküste – eine vergessene Gefahr?" [Storm floods along the Baltic Sea coastline – a forgotten threat?]. Informations-, Lern-, und Lehrmodule zu den Themen Küste, Meer und Integriertes Küstenzonenmanagement. EUCC Die Küsten Union Deutschland e. V. Retrieved 2 July 2012. Citing Weiss, D. "Schutz der Ostseeküste von Mecklenburg-Vorpommern". In Kramer, J.; Rohde, H. Historischer Küstenschutz: Deichbau, Inselschutz und Binnenentwässerung an Nord- und Ostsee [Historical coastal protection: construction of dikes, insular protection and inland drainage at North Sea and Baltic Sea] (in German). Stuttgart: Wittwer. pp. 536–567. ^ Tiesel, Reiner (October 2003). "Sturmfluten an der deutschen Ostseeküste" [Storm floods at the German Baltic Sea coasts]. Informations-, Lern-, und Lehrmodule zu den Themen Küste, Meer und Integriertes Küstenzonenmanagement (in German). EUCC Die Küsten Union Deutschland e. V. Retrieved 2 July 2012. ^ "EuroOcean". Archived from the original on 15 April 2014. Retrieved 14 April 2014. ^ "Geography of the Baltic Sea Area". Archived from the original on 21 April 2006. Retrieved 27 August 2005. at envir.ee. (archived) (2006-04-21). Retrieved on 23 June 2011. ^ "Limits of Oceans and Seas, 3rd edition" (PDF). International Hydrographic Organization. 1953. Archived from the original (PDF) on 8 October 2011. Retrieved 6 February 2010. ^ "Baltic Sea area clickable map". www.baltic.vtt.fi. Archived from the original on 23 October 2007. Retrieved 11 April 2008. ^ a b c d e f "Our Baltic Sea". HELCOM. Retrieved 27 July 2018. ^ Helsingin Sanomat, 16 February 2011, p. A8. ^ Derham, William Physico-Theology: Or, A Demonstration of the Being and Attributes of God from His Works of Creation (London, 1713). ^ Helsingin Sanomat, 10 February 2011, p. A4; 25 February 2011, p. A5; 11 June 2011, p. A12. ^ Sea Ice Survey Space Science and Engineering Center, University of Wisconsin. ^ "Nödåret 1867". Byar i Luleå. Archived from the original on 2011-07-27. ^ "Isvintrene i 40'erne". TV 2. ^ "Is i de danske farvande i 1700-tallet". Nationalmuseet. ^ a b Snoeijs-Leijonmalm P.; E.Andrén (2017). "Why is the Baltic Sea so special to live in?". In P. Snoeijs-Leijonmalm; H. Schubert; T. Radziejewska. Biological Oceanography of the Baltic Sea. Springer, Dordrecht. pp. 23–84. ISBN 978-94-007-0667-5. ^ a b c Viktorsson, L. (16 April 2018). "Hydrogeography and oxygen in the deep basins". HELCOM. Retrieved 27 July 2018. ^ "The Baltic Sea: Its Past, Present and Future" (PDF). Archived from the original (PDF) on 6 June 2007. (352 KB), Jan Thulin and Andris Andrushaitis, Religion, Science and the Environment Symposium V on the Baltic Sea (2003). ^ a b Muus, B.; J.G. Nielsen; P. Dahlstrom; B. Nystrom (1999). Sea Fish. ISBN 978-8790787004. ^ Statistische Kurzinformation Archived 11 November 2012 at the Wayback Machine (in German). Landeshauptstadt Kiel. Amt für Kommunikation, Standortmarketing und Wirtschaftsfragen Abteilung Statistik. Retrieved on 11 October 2012. ^ Mikkelson, David. "UFO at the Bottom of the Baltic Sea? Rumor: Photograph shows a UFO discovered at the bottom of the Baltic Sea". Urban Legends Reference Pages© 1995-2017 by Snopes.com. Snopes.com. Retrieved 1 August 2017. ^ Kershner, Kate. "What is the Baltic Sea anomaly?". How Stuff Works. HowStuffWorks, a division of InfoSpace Holdings LLC. Retrieved 1 August 2017. ^ Wolchover, Natalie. "Mysterious' Baltic Sea Object Is a Glacial Deposit". Live Science. Live Science, Purch. Retrieved 1 August 2017. ^ Main, Douglas (January 2, 2012). "Underwater UFO? Get Real, Experts Say". Popular Mechanics. ^ Nissling, L.; A. Westin (1997). "Salinity requirements for successful spawning of Baltic and Belt Sea cod and the potential for cod stock interactions in the Baltic Sea". Marine Ecology Progress Series. 152 (1/3): 261–271. doi:10.3354/meps152261. ^ a b Momigliano, M.; G.P.J. Denys; H. Jokinen; J. Merilä (2018). "Platichthys solemdali sp. nov. (Actinopterygii, Pleuronectiformes): A New Flounder Species From the Baltic Sea". Front. Mar. Sci. 5 (225). doi:10.3389/fmars.2018.00225. ^ Lockwood, A. P. M.; Sheader, M.; Williams, J. A. (1998). "Life in Estuaries, Salt Marshes, Lagoons and Coastal Waters". In Summerhayes, C. P.; Thorpe, S. A. Oceanography: An Illustrated Guide (2nd ed.). London: Manson Publishing. p. 246. ISBN 978-1-874545-37-8. ^ Pereyra, R.T.; L. Bergström; L. Kautsky; K. Johannesson (2009). "Rapid speciation in a newly opened postglacial marine environment, the Baltic Sea". BMC Evolutionary Biology. 9 (70): 70. doi:10.1186/1471-2148-9-70. PMC 2674422. PMID 19335884. ^ Red List Benthic Invertebrate Expert Group (2013) Parvicardium hauniense. HELCOM. Accessed 27 July 2018. ^ National Museum Wales (17 April 2017). "Parvicardium hauniense". Marine Bivalve Shells of the British Isles. Retrieved 27 July 2018. ^ "White harbour porpoise sighting in Baltic Sea". 10 June 2015. ^ "Baltic dolphin sightings confirmed". ^ "Orcinus orca (Killer Whale, Orca)". www.iucnredlist.org. ^ "Rare Sowerby's beaked whale spotted in the Baltic Sea". ^ "Wieder Finnwal in der Ostsee". Archived from the original on 15 April 2016. ^ KG, Ostsee-Zeitung GmbH & Co. "Finnwal in der Ostsee gesichtet". www.ostsee-zeitung.de. ^ Allgemeine, Augsburger. "Angler filmt Wal in Ostsee-Bucht". ^ "Whales seen again in the waters of the Baltic Sea". ^ "North Atlantic right whale". ^ "Regional Species Extinctions - Examples of regional species extinctions over the last 1000 years and more" (PDF). Archived from the original (PDF) on 25 April 2011. 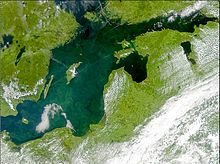 ^ "Satellite spies vast algal bloom in Baltic Sea". BBC News. 23 July 2010. Archived from the original on 26 July 2010. Retrieved 27 July 2010. ^ "Oxygenation at a Depth of 120 Meters Could Save the Baltic Sea, Researchers Demonstrate". Science Daily. ^ Helcom : Welcome Archived 6 May 2007 at the Wayback Machine. Helcom.fi. Retrieved on 23 June 2011. Alhonen, Pentti (1966). "Baltic Sea". In Fairbridge, Rhodes. The Encyclopedia of Oceanography. New York: Van Nostrand Reinhold Company. pp. 87–91. Norbert Götz. “Spatial Politics and Fuzzy Regionalism: The Case of the Baltic Sea Area.” Baltic Worlds 9 (2016) 3: 54–67. Ojaveer, H.; Jaanus, A.; MacKenzie, B. R.; Martin, G.; Olenin, S.; et al. (2010). "Status of Biodiversity in the Baltic Sea". PLoS ONE. 5 (9): e12467. doi:10.1371/journal.pone.0012467. PMC 2931693. PMID 20824189. Peter, Bruce (2009). Baltic Ferries. Ramsey, Isle of Man: Ferry Publications. ISBN 9781906608057. The BACC II Author Team, , et.al (2015). Second Assessment of Climate Change for the Baltic Sea Basin. Regional Climate Studies. Springer. doi:10.1007/978-3-319-16006-1. ISBN 978-3-319-16006-1. Bogucka, Maria. “The Role of Baltic Trade in European Development from the XVIth to the XVIIIth Centuries.” Journal of European Economic History 9 (1980): 5–20. Davey, James. The Transformation of British Naval Strategy: Seapower and Supply in Northern Europe, 1808–1812 (Boydell, 2012). Fedorowicz, Jan K. England's Baltic Trade in the Early Seventeenth Century: A Study in Anglo-Polish Commercial Diplomacy (Cambridge UP, 2008). Frost, Robert I. The Northern Wars: War, State, and Society in Northeastern Europe, 1558–1721 (Longman, 2000). Grainger, John D. The British Navy in the Baltic (Boydell, 2014). Kent, Heinz S. K. War and Trade in Northern Seas: Anglo-Scandinavian Economic Relations in the Mid Eighteenth Century (Cambridge UP, 1973). Koningsbrugge, Hans van. “In War and Peace: The Dutch and the Baltic in Early Modern Times.” Tijdschrift voor Skandinavistiek 16 (1995): 189–200. Linblad, Jan Thomas. “Structural Change in the Dutch Trade in the Baltic in the Eighteenth Century.” Scandinavian Economic History Review 33 (1985): 193–207. Lisk, Jill. The Struggle for Supremacy in the Baltic, 1600–1725 (U of London Press, 1967). Roberts, Michael. The Early Vasas: A History of Sweden, 1523–1611 (Cambridge UP, 1968). Rystad, Göran, Klaus-R. Böhme, and Wilhelm M. Carlgren, eds. In Quest of Trade and Security: The Baltic in Power Politics, 1500–1990. Vol. 1, 1500–1890. Stockholm: Probus, 1994. Salmon, Patrick, and Tony Barrow, eds. Britain and the Baltic: Studies in Commercial, Political and Cultural Relations (Sunderland University Press, 2003). Stiles, Andrina. Sweden and the Baltic 1523–1721 (1992). 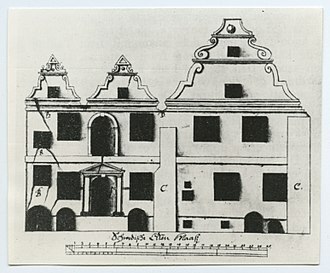 Tielhof, Milja van. The “Mother of All Trades”: The Baltic Grain Trade in Amsterdam from the Late 16th to Early 19th Century. Leiden, The Netherlands: Brill, 2002. Warner, Richard. “British Merchants and Russian Men-of-War: The Rise of the Russian Baltic Fleet.” In Peter the Great and the West: New Perspectives. Edited by Lindsey Hughes, 105–117. Basingstoke, UK: Palgrave Macmillan, 2001. Wikimedia Commons has media related to Baltic Sea. Wikisource has the text of the 1879 American Cyclopædia article Baltic Sea. Wikisource has the text of the 1911 Encyclopædia Britannica article Baltic Sea. Baltic Sea clickable map and details. Protect the Baltic Sea while it's still not too late. The Helsinki Commission (HELCOM) HELCOM is the governing body of the "Convention on the Protection of the Marine Environment of the Baltic Sea Area"
Baltice.org – information related to winter navigation in the Baltic Sea. Ostseeflug – A short film (55'), showing the coastline and the major German cities at the Baltic sea. The Oder is a river in Central Europe. It rises in the Czech Republic and flows through western Poland, the river ultimately flows into the Szczecin Lagoon north of Szczecin and into three branches that empty into the Gulf of Pomerania of the Baltic Sea. Ptolemy knew the modern Oder as the Συήβος – a name derived from the Suebi. While he refers to an outlet in the area as the Οὐιαδούα Ouiadoua, the name Suebos may be preserved in the modern name of the Świna river – an outlet from the Szczecin Lagoon to the Baltic. In the Old Church Slavonic language, the name of the river is Vjodr, the Oder is 854 kilometres long,112 km in the Czech Republic,742 km in Poland and is the second longest river in Poland. It drains a basin of 118,861 square kilometres,106,056 km2 of which are in Poland,7,217 km2 in the Czech Republic, channels connect it to the Havel, Vistula system and Kłodnica. It flows through Silesian, Lower Silesian and West Pomeranian voivodeships of Poland, the main branch empties into the Szczecin Lagoon near Police, Poland. The Szczecin Lagoon is bordered on the north by the islands of Usedom, between these two islands, there is only a narrow channel going to the Bay of Pomerania, which forms a part of the Baltic Sea. 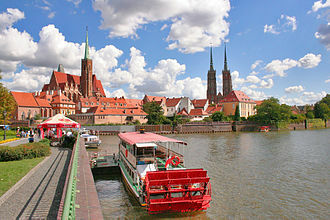 The largest city on the Oder is Wrocław, in Lower Silesia, the Oder is navigable over a large part of its total length, as far upstream as the town of Koźle, where the river connects to the Gliwice Canal. The upstream part of the river is canalized and permits larger barges to navigate between the sites around the Wrocław area. Further downstream the river is flowing, passing the towns of Eisenhüttenstadt. Downstream of Frankfurt the river Warta forms a connection with Poznań. At Hohensaaten the Oder–Havel Canal connects with the Berlin waterways again, near its mouth the Oder reaches the city of Szczecin, a major maritime port. 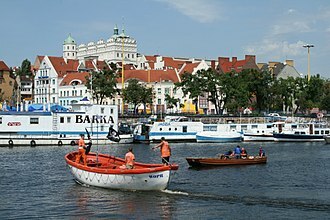 The river finally reaches the Baltic Sea through the Szczecin Lagoon, the river in Germania Magna was known to the Romans as the Viadrus or Viadua in Classical Latin, as it was a branch of the Amber Road from the Baltic Sea to the Roman Empire. Gotland, Gutland in the local dialect Gutnish, is a province, county and diocese of Sweden. The province includes the islands of Fårö and Gotska Sandön to the north. The population is 57,221, of which about 23,600 live in Visby, the island of Gotland and the other areas of the province of Gotland make up less than one percent of Swedens total land area. From a military viewpoint, it occupies a location in the Baltic sea. The island is the home of the Gutes, and sites such as the Ajvide Settlement show that it has occupied since prehistory. This is consistent with the spread of peoples from the Middle East at about that time. Early on, Gotland became a center, with the town of Visby the most important Hanseatic city in the Baltic Sea. In late medieval times, the island had twenty district courts, each represented by its elected judge at the island-ting, new laws were decided at the landsting, which took other decisions regarding the island as a whole. Gutasaga contains legends of how the island was settled by Þieluar, according to some historians, it is therefore an effort not only to write down the history of Gotland, but to assert Gotlands independence from Sweden. In 1361, Valdemar Atterdag of Denmark invaded the island, the Victual Brothers occupied the island in 1394 to set up a stronghold as a headquarters of their own in Visby. At last, Gotland became a fief of the Teutonic Knights, an invading army of Teutonic Knights conquered the island in 1398, destroying Visby and driving the Victual Brothers from Gotland. The number of Arab dirhams discovered on the island of Gotland alone is astoundingly high, in the various hoards located around the island, there are more of these silver coins than at any other site in Western Eurasia. The total sum is almost as great as the number that has been unearthed in the entire Muslim world, the Berezan Runestone, discovered in 1905 in Ukraine, was made by a Varangian trader named Grani in memory of his business partner Karl. It is assumed that they were from Gotland, the Mästermyr chest, an important artefact from the Viking Age, was found in Gotland. The authority of the landsting was successively eroded after the island was occupied by the Teutonic Order, sold to Eric of Pomerania, in late medieval times, the ting consisted of twelve representatives for the farmers, free-holders or tenants. Bornholm is a Danish island in the Baltic Sea, to the east of the rest of Denmark, south of Sweden, northeast of Germany and north of the westernmost part of Poland. The main industries on the island include fishing, dairy farming, tourism is important during the summer. There is a large number of Denmarks round churches on the island. The total area according to www. noegletal. dk was 588.36 square kilometres, the island is called solskinsøen because of its weather and klippeøen because of its geology, which consists of granite, except along the southern coast. 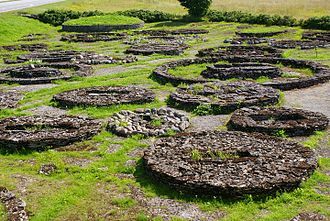 The heat from the summer is stored in the rock formations, as a result of the climate, a local variety of the common fig, known as Bornholms Diamond, can grow locally on the island. The islands topography consists of rock formations in the north sloping down towards pine and deciduous forests, farmland in the middle. Strategically located in the Baltic Sea, Bornholm has been fought over for centuries and it has usually been ruled by Denmark, but by Lübeck and Sweden. The ruin of Hammershus, at the tip of the island, is the largest medieval fortress in northern Europe. Bornholm Regional Municipality, established January 2003 by the merger of Bornholm County with 5 municipalities, Bornholm was one of the three last Danish municipalities not belonging to a county — the others were Copenhagen and Frederiksberg. On 1 January 2007, the municipality lost its county status. The island is situated between 54/59/11 and 55/17/30 northern latitude and 14/45 and 15/11 eastern longitude and it typically takes 3 hours for passengers and freight to travel between Rønne and Copenhagen via Ystad in Sweden. 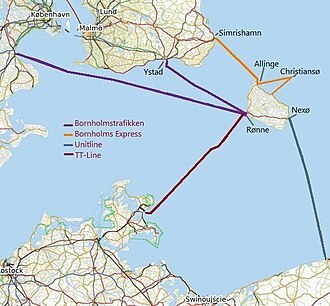 There is a ferry departure mostly reserved for freight of goods between Rønne and Køge, if there is capacity on a departure, normal passengers can come aboard. There are routes to Sassnitz and Świnoujście. Between Bornholm Airport and Copenhagen Airport by airplane it is 25 minutes, the Ertholmene archipelago is located 18 kilometres to the northeast of Bornholm. 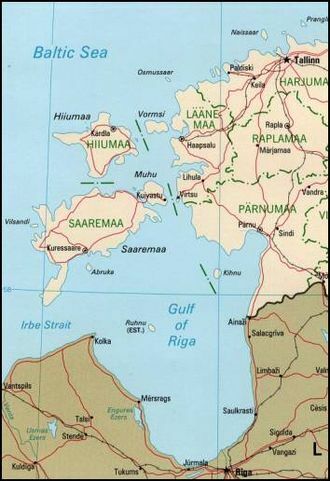 These islands, which do not belong to a municipality or region, are administered by the Danish Ministry of Defence, many inhabitants speak the Bornholmsk dialect, which is officially a dialect of Danish. Falster is an island in south-eastern Denmark with an area of 486.2 km2 and 43,398 inhabitants as of 1 January 2010. Located in the Baltic sea, it is part of Region Sjælland and is administered by Guldborgsund Municipality, Falster includes Denmarks southernmost point, Gedser Odde, near Gedser. The largest town is Nykøbing Falster with over 40% of the islands inhabitants, other towns include Stubbekøbing, Nørre Alslev and Gedser. Falster has motor and railway links both to the island of Zealand to the north and to the island of Lolland to the south-west. These links lead to the islands of Masnedø and Farø. European route E47 links Copenhagen to Hamburg via Falster, from medieval times until 1766, most of Falster belonged to the crown. King Valdemars Census Book from c.1231 lists all the parishes, Falsters two main towns, Nykøbing and Stubbekøbing, were both founded towards the end of the 12th century. In medieval times, the island was marked by wars with the Wends in 1158, the census of 1509 includes only 90 of the 110 villages mentioned earlier. By contrast, it mentions 29 new settlements mainly along the coast. 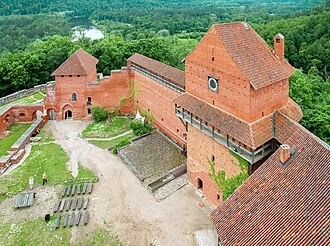 In the 16th century, Falster had a number of farms which were owned by the nobility but, from 1560 to 1630. Therefore, Falster could therefore be used as the dowry for Frederick IIIs wife, Sophie Amalie but as a result of the taxes which resulted. Falster was managed as an estate from 1718 until 1766 when it was sold by auction and divided up into ten large farms. But as the fields had to be prepared through the serfdom of local peasants, the villages were replaced by the community from 1778 to 1814, and gradually moved to freehold tenants, a process which was only completed in about 1860. 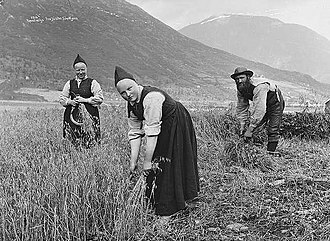 There was an increase in the cultivation of sugar beet which was processed in factories at Nykøbing and Stubbekøbing between 1890 and 1914, many seasonal workers, especially women, from Sweden and Poland came to help with harvesting the sugar beet and some of them stayed. With the new railway from Orehoved to Nykøbing in 1872 and railway ferries to Masnedø and Warnemünde and its position was reinforced by the construction of the Storstrøm Bridge and Farø Bridges. Finland, officially the Republic of Finland, is a sovereign state in Northern Europe. A peninsula with the Gulf of Finland to the south and the Gulf of Bothnia to the west, the country has borders with Sweden to the northwest, Norway to the north. Estonia is south of the country across the Gulf of Finland, Finland is a Nordic country situated in the geographical region of Fennoscandia, which includes Scandinavia. Finlands population is 5.5 million, and the majority of the population is concentrated in the southern region,88. 7% of the population is Finnish people who speak Finnish, a Uralic language unrelated to the Scandinavian languages, the second major group are the Finland-Swedes. In terms of area, it is the eighth largest country in Europe, Finland is a parliamentary republic with a central government based in the capital Helsinki, local governments in 311 municipalities, and an autonomous region, the Åland Islands. Over 1.4 million people live in the Greater Helsinki metropolitan area, from the late 12th century, Finland was an integral part of Sweden, a legacy reflected in the prevalence of the Swedish language and its official status. In the spirit of the notion of Adolf Ivar Arwidsson, we are not Swedes, we do not want to become Russians, let us therefore be Finns, nevertheless, in 1809, Finland was incorporated into the Russian Empire as the autonomous Grand Duchy of Finland. In 1906, Finland became the nation in the world to give the right to vote to all adult citizens. Following the 1917 Russian Revolution, Finland declared itself independent, in 1918, the fledgling state was divided by civil war, with the Bolshevik-leaning Reds supported by the equally new Soviet Russia, fighting the Whites, supported by the German Empire. After a brief attempt to establish a kingdom, the became a republic. During World War II, the Soviet Union sought repeatedly to occupy Finland, with Finland losing parts of Karelia and Kuusamo, Petsamo and some islands, Finland joined the United Nations in 1955 and established an official policy of neutrality. The Finno-Soviet Treaty of 1948 gave the Soviet Union some leverage in Finnish domestic politics during the Cold War era, Finland was a relative latecomer to industrialization, remaining a largely agrarian country until the 1950s. Poland, officially the Republic of Poland, is a country in Central Europe, situated between the Baltic Sea in the north and two mountain ranges in the south. Bordered by Germany to the west, the Czech Republic and Slovakia to the south and Belarus to the east, the total area of Poland is 312,679 square kilometres, making it the 69th largest country in the world and the 9th largest in Europe. With a population of over 38.5 million people, Poland is the 34th most populous country in the world, the 8th most populous country in Europe, Poland is a unitary state divided into 16 administrative subdivisions, and its capital and largest city is Warsaw. Other metropolises include Kraków, Wrocław, Poznań, Gdańsk and Szczecin, the establishment of a Polish state can be traced back to 966, when Mieszko I, ruler of a territory roughly coextensive with that of present-day Poland, converted to Christianity. The Kingdom of Poland was founded in 1025, and in 1569 it cemented a political association with the Grand Duchy of Lithuania by signing the Union of Lublin. This union formed the Polish–Lithuanian Commonwealth, one of the largest and most populous countries of 16th and 17th century Europe, Poland regained its independence in 1918 at the end of World War I, reconstituting much of its historical territory as the Second Polish Republic. In September 1939, World War II started with the invasion of Poland by Nazi Germany, followed thereafter by invasion by the Soviet Union. More than six million Polish citizens died in the war, after the war, Polands borders were shifted westwards under the terms of the Potsdam Conference. With the backing of the Soviet Union, a communist puppet government was formed, and after a referendum in 1946. During the Revolutions of 1989 Polands Communist government was overthrown and Poland adopted a new constitution establishing itself as a democracy, informally called the Third Polish Republic. Since the early 1990s, when the transition to a primarily market-based economy began, Poland has achieved a high ranking on the Human Development Index. Poland is a country, which was categorised by the World Bank as having a high-income economy. Furthermore, it is visited by approximately 16 million tourists every year, Poland is the eighth largest economy in the European Union and was the 6th fastest growing economy on the continent between 2010 and 2015. According to the Global Peace Index for 2014, Poland is ranked 19th in the list of the safest countries in the world to live in. The origin of the name Poland derives from a West Slavic tribe of Polans that inhabited the Warta River basin of the historic Greater Poland region in the 8th century, the origin of the name Polanie itself derives from the western Slavic word pole. In some foreign languages such as Hungarian, Lithuanian and Turkish the exonym for Poland is Lechites, historians have postulated that throughout Late Antiquity, many distinct ethnic groups populated the regions of what is now Poland. The most famous archaeological find from the prehistory and protohistory of Poland is the Biskupin fortified settlement, dating from the Lusatian culture of the early Iron Age, the Slavic groups who would form Poland migrated to these areas in the second half of the 5th century AD. Europe is a continent that comprises the westernmost part of Eurasia. Europe is bordered by the Arctic Ocean to the north, the Atlantic Ocean to the west, yet the non-oceanic borders of Europe—a concept dating back to classical antiquity—are arbitrary. Europe covers about 10,180,000 square kilometres, or 2% of the Earths surface, Europe is divided into about fifty sovereign states of which the Russian Federation is the largest and most populous, spanning 39% of the continent and comprising 15% of its population. Europe had a population of about 740 million as of 2015. Further from the sea, seasonal differences are more noticeable than close to the coast, Europe, in particular ancient Greece, was the birthplace of Western civilization. The fall of the Western Roman Empire, during the period, marked the end of ancient history. 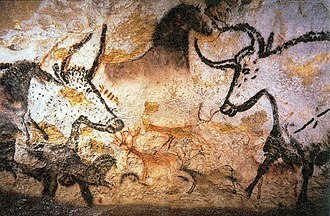 Renaissance humanism, exploration and science led to the modern era, from the Age of Discovery onwards, Europe played a predominant role in global affairs. Between the 16th and 20th centuries, European powers controlled at times the Americas, most of Africa, Oceania. The Industrial Revolution, which began in Great Britain at the end of the 18th century, gave rise to economic and social change in Western Europe. During the Cold War, Europe was divided along the Iron Curtain between NATO in the west and the Warsaw Pact in the east, until the revolutions of 1989 and fall of the Berlin Wall. In 1955, the Council of Europe was formed following a speech by Sir Winston Churchill and it includes all states except for Belarus and Vatican City. Further European integration by some states led to the formation of the European Union, the EU originated in Western Europe but has been expanding eastward since the fall of the Soviet Union in 1991. The European Anthem is Ode to Joy and states celebrate peace, in classical Greek mythology, Europa is the name of either a Phoenician princess or of a queen of Crete. The name contains the elements εὐρύς, broad and ὤψ eye, broad has been an epithet of Earth herself in the reconstructed Proto-Indo-European religion and the poetry devoted to it. The Canal Grande in Venice, one of the major water-traffic corridors in the city. 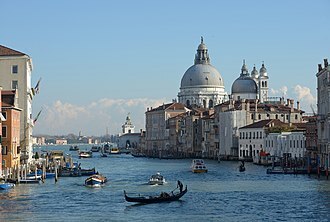 View from the Accademia bridge. Seas have always been essential for human development and trade, as at Singapore with its harbour (the world's busiest transshipment port) and the important shipping lanes through the Singapore Strait and the Strait of Malacca. The Vistula in southern Poland with Silesian Beskids seen in the background. Fishing competition "Narva Salmon 2014"
Kuressaare Castle in Saaremaa dates back to the 1380s. "Academia Dorpatensis" (now University of Tartu) was founded in 1632 by King Gustavus as the second university in the kingdom of Sweden. After the king's death it became known as “Academia Gustaviana”. 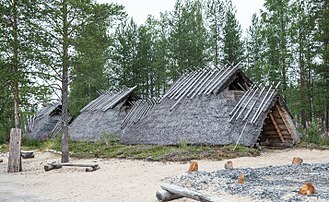 Reconstruction of Stone Age dwelling from Kierikki, Oulu. Now lying within Helsinki, Suomenlinna is a UNESCO World Heritage Site consisting of an inhabited 18th-century sea fortress built on six islands. It is one of Finland's most popular tourist attractions. 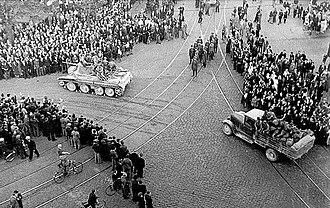 Red Army troops enter Riga (1940). Baltic Amber, that dates 44 million years ago, is a valuable trade resource. It was once transported to the Roman Empire, Egypt through the Amber Road. 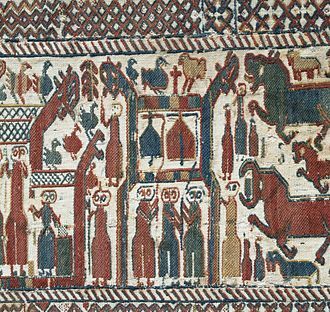 Earliest known contemporary depiction of a Polish ruler. King Mieszko II Lambert of Poland, who ruled the nation between 1025 and 1031. Battle of Grunwald was fought against the German Order of Teutonic Knights, and resulted in a decisive victory for the Kingdom of Poland, 15 July 1410. Tadeusz Kościuszko was a veteran and hero of both Polish and American wars of independence between 1765 and 1794. Capture of the Warsaw Arsenal by the Polish army during the November Uprising against Tsarist autocracy, 29 November 1830. 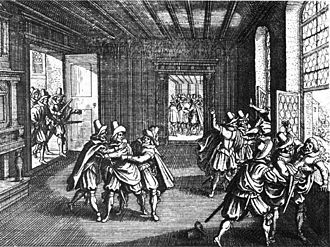 The 1618 Defenestration of Prague marked the beginning of the Bohemian Revolt against the Habsburgs and therefore the first phase of the Thirty Years' War. 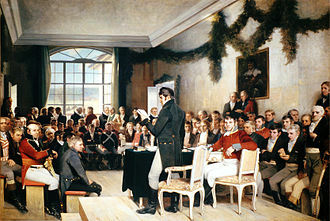 The 1814 constitutional assembly, painted by Oscar Wergeland. A statue of Saint Cyril and Saint Methodius in Žilina. 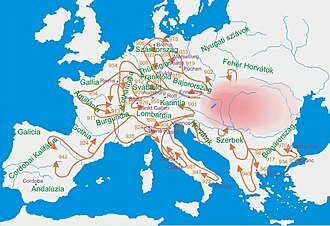 In 863, they introduced Christianity to what is now Slovakia. The oldest building on Abruka: The Abruka House (Abruka maja). The inner archipelago is wooded. Picture taken in autumn, when reeds surrounding the islands have turned brown. The minor inhabited island groups could sustain only one or a few families and only with fish as main income. 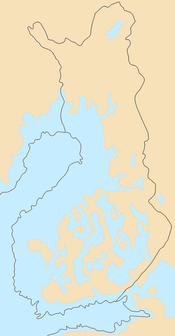 Kråkskär was inhabited until 1956. The Parliament of Åland with the flags of (counterclockwise, starting with EU) European Union, Åland Islands, Finland, Sweden, Denmark, Norway, Poland, Germany, Estonia, Russia, Lithuania, and Latvia. The Åland Islands during the Crimean War. It was here that the Battle of Bomarsund was fought. Sheep grazing on a small island. Jousting at the Middle Ages Centre. Tofta Church, one of the island's many distinctive, well-preserved medieval churches. 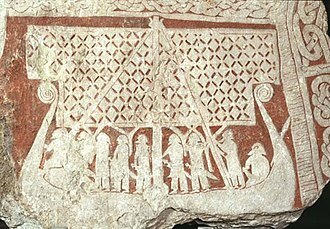 Torsätra runestone (U 614) raised in memory of one of the Swedish king's tribute collectors who fell ill and died during a trip to Gotland. Swedish History Museum, Stockholm. 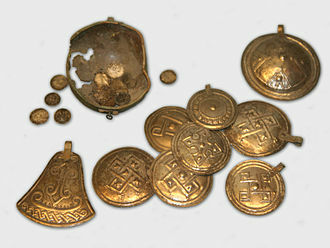 A part of the Spillings Hoard at Gotlands Museum. 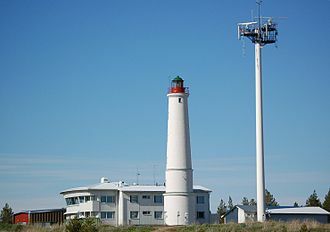 Kõpu Lighthouse is one of the best-known landmarks in Hiiumaa. Kesse cliff on the northwestern side of the island.